When his mother dies after a drought and his father leaves to find work in Addis Ababa, 8-year-old Ephraïm (Rediat Amare) and Chuni, the bedraggled family lamb, are left to live with distant relatives. When his hosts plan to serve Chuni for an upcoming holiday meal, Ephraïm is forced to take action to save his pet, the last remaining piece of his once-happy family. The first feature by Ethiopian director Yared Zeleke, and the first Ethiopian film ever to screen in the Official Selection at Cannes, Lamb is a highly accomplished piece of cinema. The talented young cast, selected from over 6,500 applicants, lends the film much of its charm, though the landscape plays an equally important role. 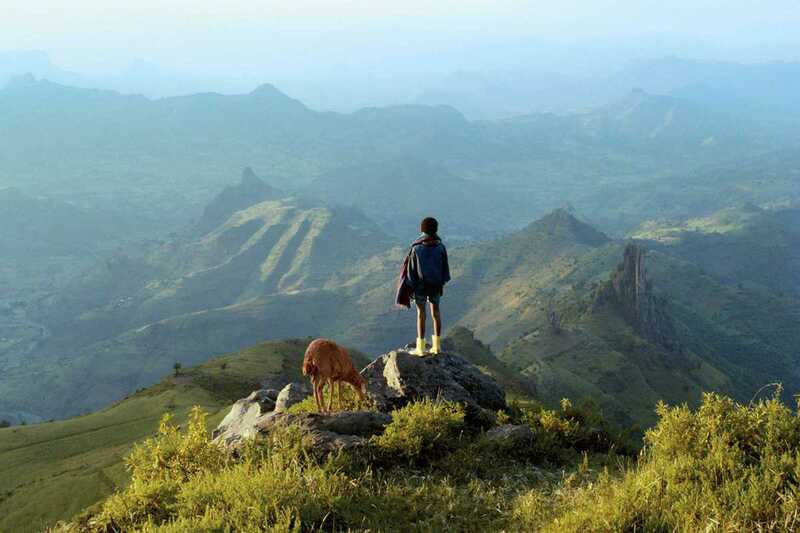 With its vast panorama of breathtaking mountain ranges, the film is a feast for the eyes, not to mention a rare, authentic look at life in rural Ethiopia.